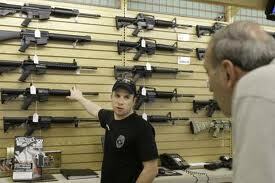 Gun charges are taken extremely seriously since Maryland firearms laws are very strict. Carrying a handgun is a crime that will get you mandatory jail time if you are found guilty. Carrying a handgun in Maryland without a permit to carry is punishable by a minimum of 30 days in jail, and up to 3 years. Even if you have a permit in another state, it is not considered valid in Maryland. It is a crime to carry any gun, rifle or firearm with the intent of committing a crime or injuring or harming another person. Intent can be a very subjective condition, so if you are arrested for any reason and happen to be in legal possession of a firearm, you can be charged with this.